Williams provides Energy Transfer more access to the northeastern U.S., where connections are necessary to bring surging output from the Marcellus Shale in Pennsylvania. Energy Transfer Equity LP agreed to acquire Williams Cos, which has extensive operations in Utah, for $37.7 billion. Following the deal's announcement on Monday, the companies said the combination will result in the largest network of natural-gas pipelines in the U.S. Earlier in June, Williams had rejected a $48 billion offer from Energy Transfer. Since then the shares of energy companies have depreciated. Natural-gas prices have crashed, the price of oil the companies also transport has declined and the outlook for growth in the pipeline industry has dimmed. The shares of both companies have tumbled since Energy Transfer's original all-stock offer became public in June. Though the deal is similar in exchange ratio, the total price tag is about $15 billion lower. According to reports, Williams had hired advisers to run an auction that brought in other bidders. Williams shareholders can receive either shares from Energy Transfer Equity affiliate Energy Transfer Corp., or cash or a combination up to $6.05 billion in cash, or 20 percent of the total consideration. The offer price is $43.50 per Williams share, a 4.6 percent premium to their closing price Friday. Williams' stockholders will also be receiving a one-time special dividend of 10 cents per share that will be paid immediately before the acquisition closes. Williams shares closed at 12 percent lower at $36.57 on Monday, while shares of Energy Transfer declined 13 percent to $20.29. The companies will have a combined network of more than 100,000 miles of oil and gas pipelines across the continent. Williams provides Energy Transfer more access to the northeastern U.S., where connections are necessary to bring surging output from the Marcellus Shale in Pennsylvania to New York and New England. Tulsa, Okla.-based Williams's asset base is concentrated mostly in the Northeast. 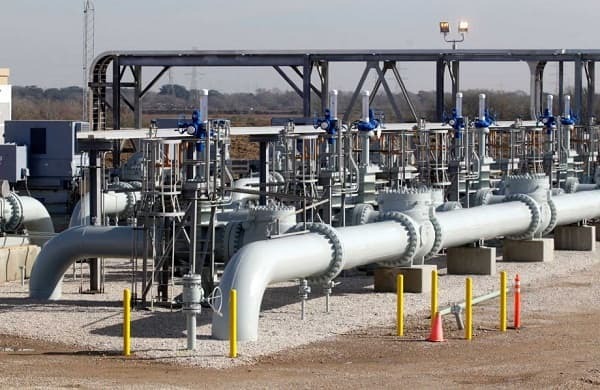 Its 10,000-mile Transco natural-gas network is regarded as the company's most important asset, a critical fuel link that connects the gas-producing regions of South Texas with the most important gas-consuming market in the country, New York City. In June, the price of a barrel of oil was hovering at about $60 a barrel, but has since come down to nearly $45. Also natural- gas prices have reduced to about $2.70 from over $3. Companies that drill for oil and gas have been cutting back, resulting in decline in production as well as widespread layoffs at oil-field services companies. Declining oil and natural gas prices hasn’t affected pipeline operators as hard as other energy companies. According to analysts, the part of the industry that builds and operates pipelines, natural-gas processing facilities and storage terminals is at risk and under pressure to merge. Prices have also fallen for fuels like ethane and propane, which has impacted companies like Williams, which processes natural gas.